Info: When his debut, 'A dried Youth', was released in 2003, a few enthusiasts paid attention - the young Ben Lukas Boysen, yet totally unknown, used his enormous creativity to implant an aural impression of his personal experiences onto a cd. 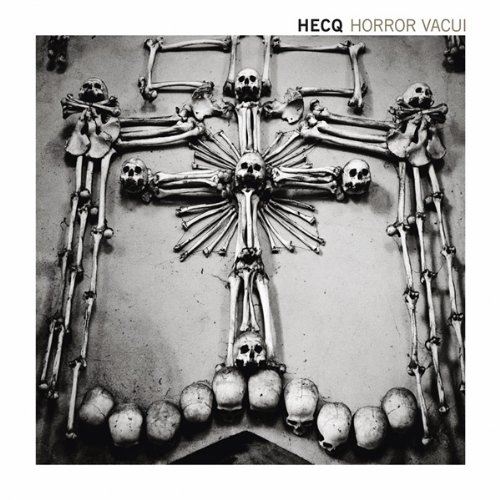 'Horror Vacui' is presented in occasion of Hecq's ten years' anniversary as a recording artist. 9 as yet unreleased tracks plus 6 exclusive remixes by other performers showcase this exceptional musician's wide creative spectrum. Between the very first Hecq recording in 2001 and an experimental piece in 2011, the stylistic range of this album varies from melodic ambience to abstract electronica with a precise usage of multiple beats. The remixes by Dean Rodell (Underhill), Frank Riggio, Roel Funcken (Funckarma), Si Begg and Christoph Berg (Field Rotation) bring the release to a ripping close with processed dubstep in the style of the 'Avenger' album and the orchestral melancholy of 'Night falls' which manages to complete this excellent collection with a remix by Ben Lukas Boysen himself.